What to drink when you’re high?! Cannabis is great, but most people are hit with an unfortunate side effect: dry mouth (also known as cotton mouth). Luckily, this side effect is completely manageable for all those afflicted – just have a beverage on hand. In my opinion, these six drinks taste even more magically delicious after experiencing your favorite strain. Even if you have access to strains that don’t give you dry mouth, don’t shortchange your taste buds; instead, try drinking one of the following beverages the next time you get high. 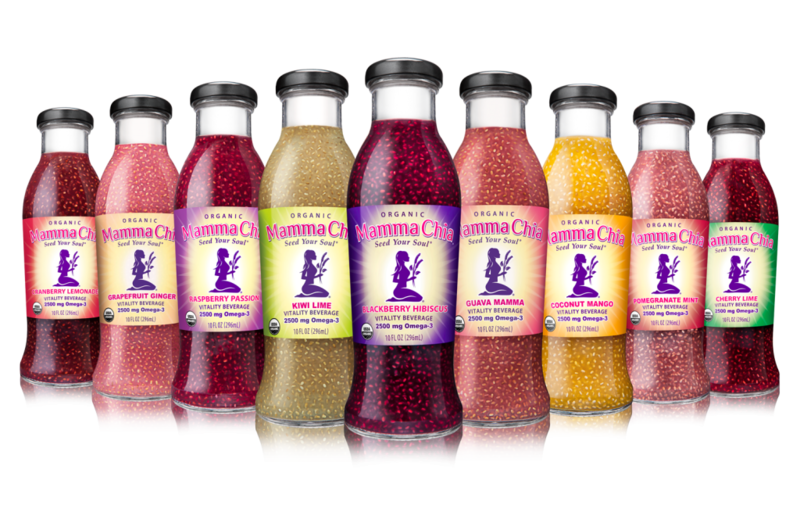 Mamma Chia is a great beverage with a lot going for it: seven great flavors, 6 grams of dietary fiber, and it’s even got some protein. For being a juice, its surprisingly good for you. But it’s the chia seeds that bump this beverage up from great to an experience.The seeds soak up the juice and give the drink its incredibly pleasing gelatinous texture. You’ll love this drink if you like bubble tea or aloe vera drinks. While the jury is still out on whether or not Alo is healthy, it sure tastes good. Like Mamma Chia it comes in a bunch of different flavors (I’m partial to their Fuji Apple + Crisp flavor, which legitimately tastes like Washington state Fuji apples) and comes with delightfully strange floating bits of plant matter like aloe vera pulp. If you like your morning orange juice with lots of pulp, this one’s for you. You might be noticing a theme here: I like drinks with weird things in them. Go to any college town in the nation and you’re sure to find at least one establishment that serves bubble tea. What makes bubble tea a truly magical experience are the fruit jellies or tapioca balls that come in your drink, plus the ritual of shaking your drink vigorously before jabbing your jumbo-sized straw into the plastic seal lid. Most bubble tea places also have plenty of seating and board games. I recommend pairing bubble tea with a good giggly strain. Odwalla is the finest nationwide purveyor of sugary but absolutely delectable real fruit smoothies. This beverage experience takes a little bit of prep time, but I assure you it’s worth it. Buy any Odwalla smoothie (I love Mango Tango and Strawberry Banana because they’re a bit thicker than most of their other smoothies) and put it in the freezer. In about 1-2 hours, you’ll have a fruit slush that can quench your thirst on a hot summer day like none other. If you’re looking for something chilling that requires less prep time than frozen Odwalla (or you just like the taste of Coca-Cola better than fruit), look no further than your local 7-11, which carries the most classic of frozen beverages. What makes slurpees an experience? Usually you get your choice of 4-8 wild and crazy flavors that you can mix and match to create beautiful slurpee art (but only if you can master dispensing it). Slurpees combined with cannabis will definitely bump all your favorite summer activities up by a notch or three. Ramune makes the list thanks to the vintage marble and pressure-sealed codd-neck bottle that it comes in. Not only is it fun to open, it’s a product of Japan, which makes it super exotic and adventurous. If you’re worried about not being able to find this drink, don’t worry because it can be found at Asian food markets and Cost Plus World Market. 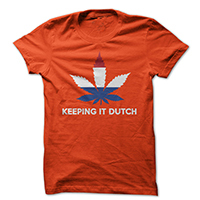 Get a cool weed tshirt! Less then $20 bucks! 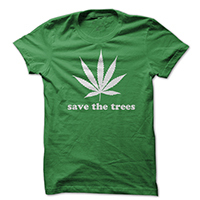 Or take a look at all these other cool tshirts with weed grass smoking prints.